In this contribution, we will discuss how electron correlation is described in different types of single-particle approaches, namely those based on many-body theory, density functional theory, and semiempirical approximations. Our goal is to provide some insight into how the term “correlation” is used in different communities and what the physical and computational advantages and drawbacks of the different approaches are. This interdisciplinary perspective will illuminate how researchers with different backgrounds think about electron correlation in single-particle methods. 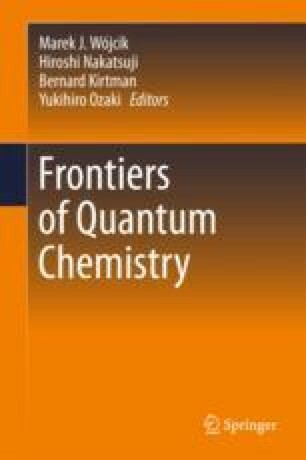 In this context, the main focus lies on MO-like theories such as KS-DFT and semiempirical methods, since these are the most common “general-purpose” approaches in quantum chemistry, which allow predicting ground state and excited state energies and properties. This work was supported by the Alexander von Humboldt Foundation (via a Feodor Lynen Research Fellowship for JTM and a Humboldt Research Award for RJB) and by the United States Air Force Office of Scientific Research (AFOSR, Grant No. FA9550–11-1-0065).